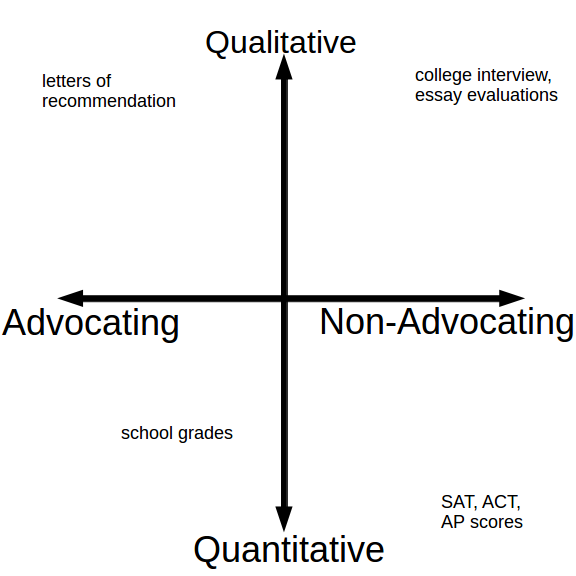 The college admissions interview is a valuable component of college applications because it provides admissions officers with a holistic evaluation from a source that has no vested interest in your success. This contrasts with your teacher evaluations, which are holistic but (hopefully) written by people who want you to be admitted, and your standardized tests scores, which aren't biased towards your success the way that teacher evaluations are, but which aren't holistic at all. There's no excuse for not knowing about one of the schools you're applying to attend. In the case of UChicago, read up on its core curriculum, housing system, culture, student groups, neighborhood, academic programs, and so on. Any school wants to admit students who know a lot about it and would be excited to attend, so study up beforehand and then reflect that in your interview. Don't ask your interviewer any questions you could have answered yourself by looking online beforehand; that's a poor use of your time with them. Definitely do ask questions, though--just ones whose answers you can't find through other resources. A few minutes late is fine, but it's impolite to keep anyone waiting for much longer than that. Pad your arrival time by ten minutes or so to account for having difficulty parking or finding the interview location. I'm personally not that uptight about this, but other people potentially could be. ...not an interrogation. I'm hoping to keep the dynamic of the interview relatively symmetric. UChicago is looking for is students who will make good conversationalists, because much of the learning at UChicago happens outside of the classroom in conversations with your peers. I'm sure the same is true of most schools. So when there's a pause in the conversation, feel very free to fill it by changing the subject, asking a question, or telling a story. Feel free to direct the conversation to the topics that most interest you, just as you would when talking to your friends. A corollary of this attempt to foster an equal footing is that there is no need to dress up for your interview if you don't want to. Personally, I'll probably be wearing tennis shoes, jeans, and a t-shirt with some kind of math joke on it. Don't be arrogant either, of course, but absolutely don't let modesty keep you from telling your interviewer about accomplishments you've had just because they didn't explicitly ask. Modesty is a virtue in many other contexts, but not in the college admissions process! UChicago looks for people who are really excited about learning and their work. Convey that enthusiasm in the interview! That means talking excitedly about your favorite academic subjects, the work that you do, things you do outside of class, ideas you have, and so on. I wouldn't have thought of this myself, but several of the students I interviewed gave me a resume or cheat sheet about themselves, or emailed me one at some point. I was frankly surprised at this, as I certainly didn't have a resume in my last year of high school. But when it came time to write up my interview reports, having a little reminder of the person I talked to was surprisingly helpful in reminding me of their accomplishments and of what we had talked about. So I'd recommend giving your interviewer something like this at some point, or perhaps better yet, emailing it to them so they can't lose it. If you don't have a resume, (and again, not a big deal--I didn't either in high school! ), you can achieve the same goal by sending your interviewer a short email that basically says, "Hey, it was great talking about X, Y, and Z with you!" I got a strong education at UChicago and had a great time while I was there. (Indeed, my friends know all too well that at least half my stories begin, "When I was at UChicago...") So if you're applying to UChicago, then I'm delighted that you're interested in going there! If you're not, then I'd urge you to! In any case, I wish you the best of luck with your college admissions process, and particularly with any college interviews you may have. Disclaimer: I'm just an alum, not a UChicago admissions officer. Thus, language like "UChicago looks for..." is a mixture of conjecture and prescriptive opinion about what I think UChicago Admissions ought to do. Some of this advice applies to college interviews in general, some only to interviews for UChicago, and some just for interviews with me.